The Slovak Republic is a landlocked country in Central Europe with a population of over five million. 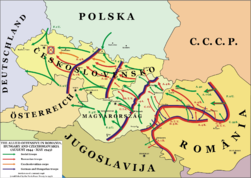 It is a member of the European Union (since May 1, 2004) and borders the ► Czech Republic and ► Austria in the west, ► Poland in the north, ► Ukraine in the east and ► Hungary in the south. The largest city is its capital, Bratislava. See also: Atlas of the European Union. More images Slovakia - Slovakia (Category). 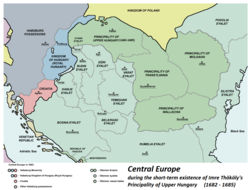 This section holds a short summary of the history of the area of present-day Slovakia, illustrated with maps, including historical maps of former countries and empires that included present-day Slovakia.